Are You Confused About Organizational Culture? Instantly Demystify All Aspects Of Culture From Definition To Design. 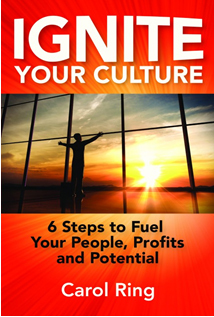 Ignite Your Culture is filled with insights, real-life stories and practical advice. Spend less than the cost of a business lunch to get this exciting new book with thought-provoking questions that challenge leaders to raise their awareness about the true impact of organizational culture. Learn how to put ‘happy” back into the workplace while saving significant dollars along the way. We, the workers, want to love our jobs. We’re not talking about casual Fridays or company picnics, although those are nice. Our dream job is in a company that makes us feel valued as people, proud of the work that we do, engaged and excited to do our best every day, and gives us the feeling that we would rather work HERE than anywhere else. The culture you create in our organization doesn’t have to be expensive, just effective. Vibrant and positive cultures improve performance as they attract and keep talented people and inspire them to go the extra mile. Negative culture is a liability when it creates entropy: Limiting behaviours such as blame, bureaucracy, internal competition and manipulation can inhibit the smooth functioning of your organization and deplete employee energy and productivity. LEARN HOW A GREAT CORPORATE CULTURE CAN LIGHT THE FIRE OF CREATIVITY, RAISE MORALE, AND BOOST YOUR COMPANY’S BOTTOM LINE! and positively impact the bottom line! Carol Ring is the CEO and Founder of The Culture Connection. Through speaking engagements, workshops and her book, Ignite Your Culture, Carol teaches leaders how to develop a strong, vibrant company culture that is vision-guided and values-driven. She helps leaders energize their organization’s values and fuel bottom-line results. 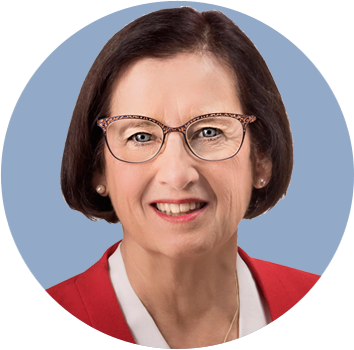 Throughout her career, Carol has been voted one of Canada’s most powerful women and has filled pivotal roles in innovative product launches, acquisitions and corporate restructuring. She has seen first-hand how varied corporate cultures impact bottom line results. Today as a certified Cultural Transformation Tool consultant of the Barrett Values Centre she is passionately committed to encouraging positive cultural transformation in organizations around the globe.